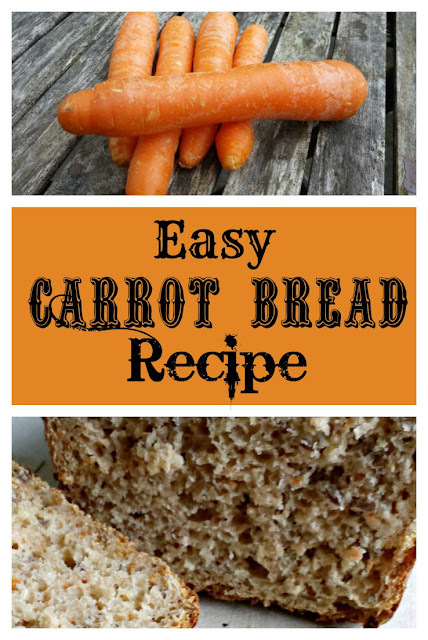 I have baked a lot of bread over the last 6 years and this easy carrot bread loaf recipes became one of my boys current favourites. That´s why I thought I would share it with you. Easy Carrot Bread Recipe. Makes one loaf of carrot bread. 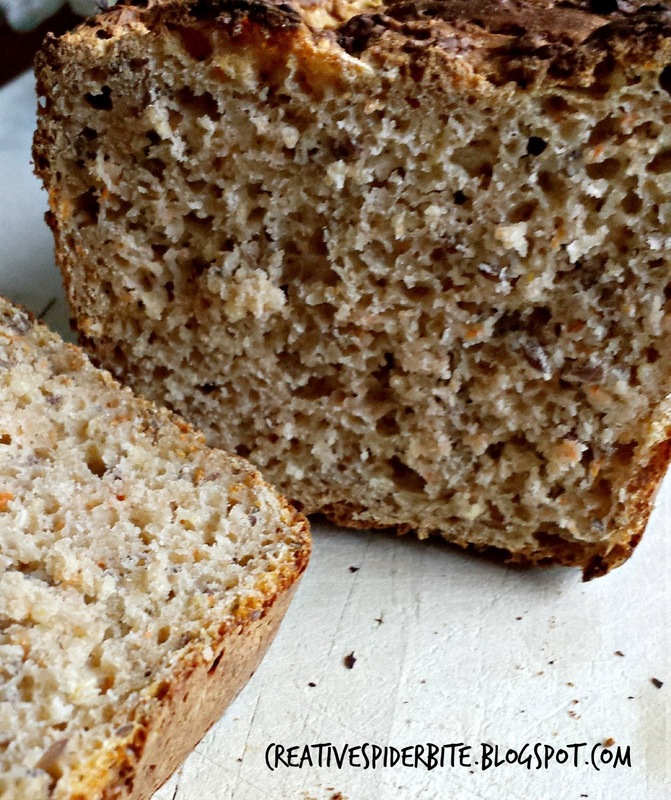 This carrot bread recipe is really very simple. Stir well. If you are making this in a food processor, that can heat, set it on 37C/98F for 2 mins. This will speed up the rising of your dough. 250 grams of plain (not the self rising type!) flour. 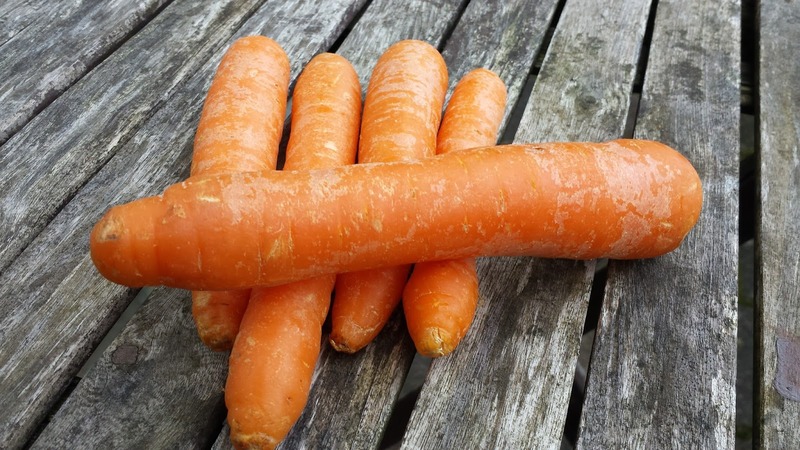 If you have only plain flour, you can also use just 500 grams of normal flour and leave out the rye and whole wheat, the outcome will be like a baguette/french bread with carrots. But I find it tastes a little bland compared to the above option. Now the most important step, knead the dough for 10 minutes! It will improve the texture of your bread. Line a loaf pan or butter it well. Fill your dough into the loaf pan and place it in a warm spot. Good options are a sunny spot on the window sill, a window sill with the heater on underneath or my preference in our house is leaving it on top of our coffee maker. It has a heated plate to keep cups warm, which makes it the perfect spot. If the spot you picked is warm enough your dough will have doubled its size within an hour if you used fresh yeast. With dried it can take a few hours. Preheat the oven to 250C/480F and bake for 8-10 minutes. After that I lift the loaf out of the pan (I just catch the baking sheet and pull it out) and place the bread upside down on the baking tray. This way the bottom gets well baked too and the top doesn't burn. I find with the usual kitchen oven this is a good compromise as they can't reach the temperatures that the professional ovens in a bakery reach. After turning it I reduce the heat to 200C/390F and bake it for another 10 minutes. Usually the bread is baked after this, sometimes it needs an extra 5 minutes. If you knock your knuckles on the bottom of the bread and it sounds hollow it is baked! Enjoy a slice of fresh baked still warm bread with some melting butter! Interesting. I've not tried carrot bread before. Actually to tell you the truth, I am terrible at baking. Nut thank you for the bread recipe, I have been practicing making bread, and on the 4th try i made it rise, but only just slightly. I find sometimes it helps to get the yeast going with a little honey or sugar. esp if the yeast ist of good quality or dried yeast. I stumbled upon this post and now I am going to try this recipe. I do love carrot cake, so I should love this. Thanks for your post. I hope you´ll enjoy this recipe, Candace. This seems like it would be really good. I will be sure to make this without the whole wheat flour.